Rohan Ramesh*, Christian Burgess*, Arthur Sugden, Michael Gyetvan, and Mark Andermann. 2018. Intermingled ensembles encode stimulus identity or predicted outcome in visual association cortex. Neuron (100): 900-915. Christian Burgess, Yoav Livneh, Rohan Ramesh, and Mark Andermann. 2017. Gating of visual processing by homeostatic need. Current Opinion in Neurobiology (49). Yoav Livneh, Rohan Ramesh, Christian Burgess, Kirsten Levandowski, Joseph Madara, Henning Fenselau, Glenn Goldey, Nick Jikomes, Jon Resch, Veronica Diaz, Bradford Lowell, and Mark Andermann. 2017. 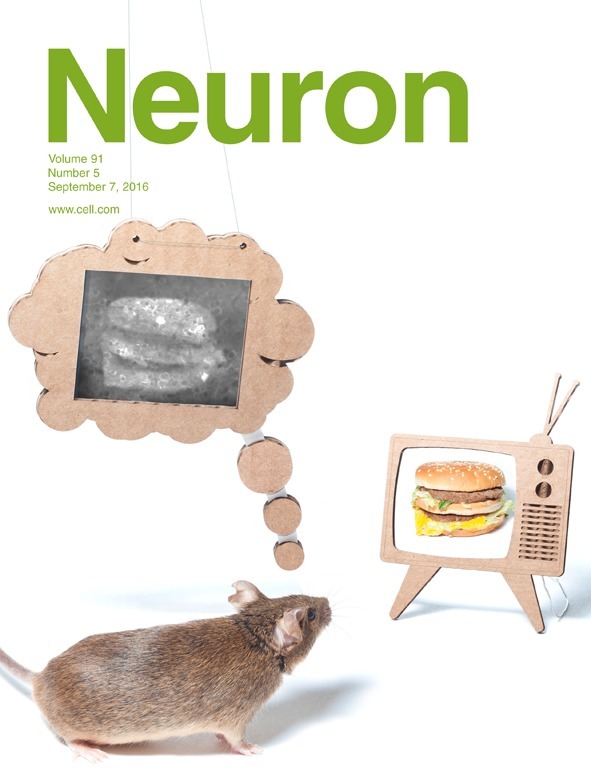 Homeostatic circuits selectively gate food cue responses in insular cortex. Nature (546): 611-616. Yael Mandelblat-Cerf, Angela Kim, Christian Burgess, Siva Subramanian, Bradford Lowell, and Mark Andermann. 2016. Bidirectional anticipation of future osmotic challenges by vasopressin neurons. Neuron (93): 57-61. Alastair Garfield*, Bhavik Shah*, Christian Burgess*, Monica Li*, Chia Li, Jennifer Steger, Joseph Madara, John Campbell, Daniel Kroeger, Thomas Scammell, Bakhos Tannous, Martin Myers Jr, Mark Andermann, Michael Krashes and Bradford Lowell. 2016. Dynamic GABAergic afferent modulation of AgRP neurons. Nature Neuroscience (19): 1628-1635. Christian Burgess*, Rohan Ramesh*, Arthur Sugden, Kirsten Levandowski, Margaret Minnig, Henning Fenselau, Bradford Lowell, and Mark Andermann. 2016. Hunger dependent enhancement of food cue responses in mouse postrhinal cortex and amygdala. Neuron (91): 1-16. Yael Mandelblat-Cerf*, Rohan Ramesh*, Christian Burgess*, Paola Patella, Zongfang Yang, Bradford Lowell, Mark Andermann. 2015. Arcuate hypothalamic AgRP and putative POMC neurons show opposite changes in spiking across multiple timescales. eLife 4: e07122. Christian Burgess and John Peever. 2013. A noradrenergic mechanism functions to couple motor behavior with arousal state. Current Biology 23(18): 1719–1725. Christian Burgess, Yo Oishi, Takatoshi Mochizuki, John Peever, and Thomas Scammell. 2013. Amygdala lesions reduce cataplexy in orexin knock-out mice. J Neuroscience 33(23):9734-9742. Christian Burgess and Thomas Scammell. 2012. Narcolepsy: neural mechanisms of sleepiness and cataplexy. J Neuroscience 32(36):12305-12311.